Spring sunshine and bunny bubbles! 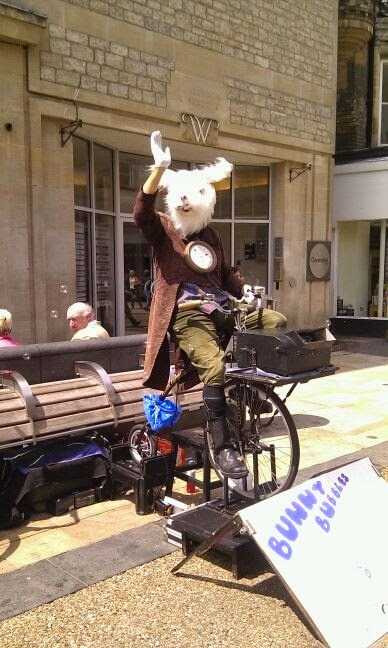 For a few seconds it's just bubbles and more bubbles and a genially waving giant hare on a bike - truly the stuff of strange dreams and hallucinations! But this is no dream: I really am walking through a sea of dancing bubbles being generated by a giant hare... and, even stranger, it's early March and I'm typing this on a day filled with glorious sunshine!